Well while working with Visualforce pages, you will feel like the UI is kinda old and not that catchy. But believe me VF is not that bad at all! You just need to add the right ingredients. <c:AccordionSection> : This element actually gets converted into a accordion section. 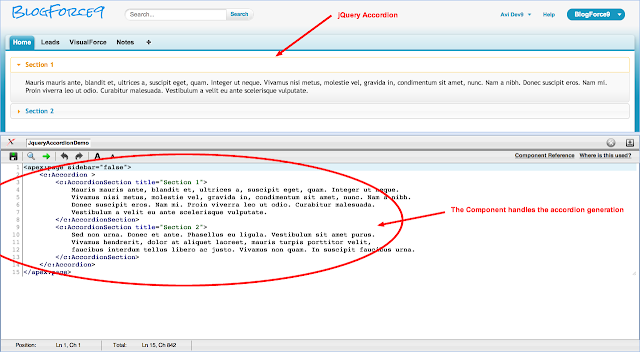 Below is the code to generate a accordion similar to the attached screen. Donec suscipit eros. Nam mi. Proin viverra leo ut odio. Curabitur malesuada. Vestibulum a velit eu ante scelerisque vulputate. faucibus interdum tellus libero ac justo. Vivamus non quam. In suscipit faucibus urna. The plugin is updated to 1.1. The new plugin features a script manager that imports only necessary plugins,script and stylesheet. 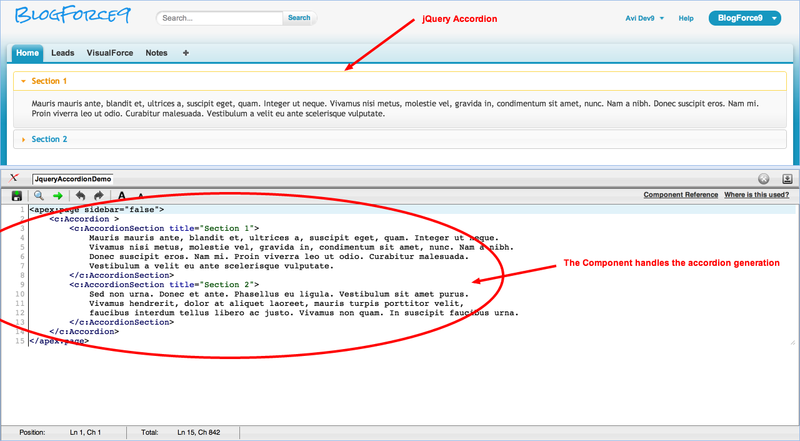 This mainly helps when multiple Accordion component are used on the same page. Instead of importing the resources multiple times they are imported only once by the script manager. is their anyway to stylish the bar section area to match the Standard Salesforce UI?